The Assassin’s Creed game franchise has been in a bit of trouble lately. What began with a hasty release of Assassin’s Creed Unity in 2014 concluded with the fun but lackluster Assassin’s Creed Syndicate the following year. Long-time fans of the series quickly became disillusioned with Ubisoft’s business policy of pushing out a game every year, regardless of the quality or its completion. Well, it would seem that Ubisoft has learned their lesson and is attempting to mend their errors. 2016 was the first year since 2008 that didn’t see an Assassin’s Creed game released, as Ubisoft announced that it would be taking the proper amount of time to make as solid of a game as possible. 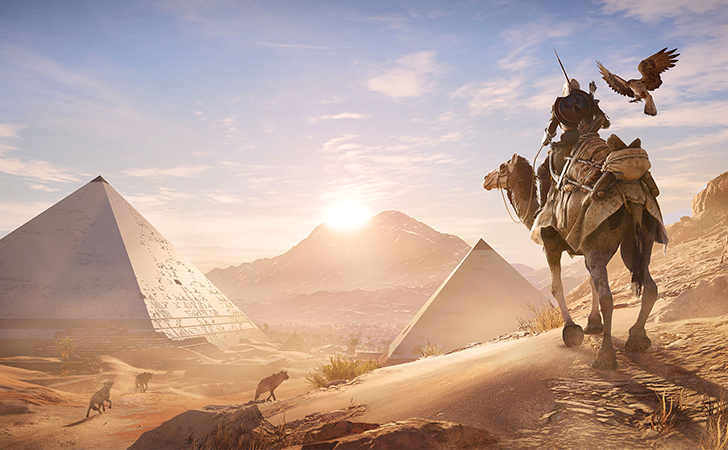 This past weekend at the video game conference E3, we got our first official look at the upcoming new title, Assassin’s Creed Origins, and what we can expect from it. Rumor has been circulating for many months that our next journey through the Animus would take us to ancient Egypt to the reign of Cleopatra, and now it’s been officially confirmed. 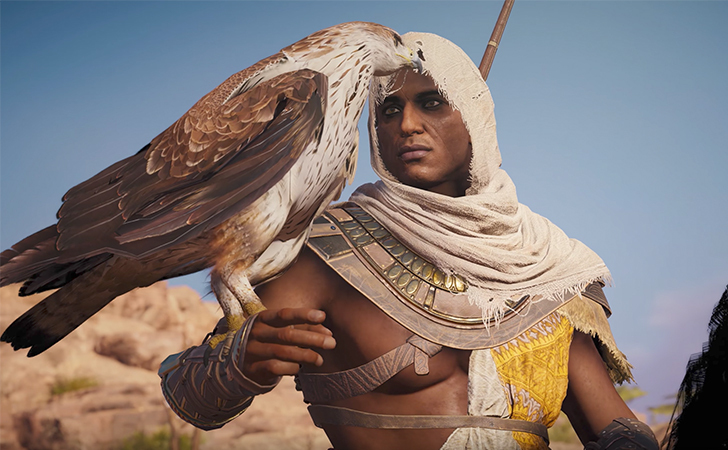 The trailer features our first look at the new protagonist, Bayek, who is rumored to be a slave-turned-assassin. Instead of using the game’s classic yet unrealistic Eagle Vision, this game will allow you to utilize an actual eagle for scouting and attaining a true bird’s eye view of the map. It’s important to note that the trailer depicts a game still in alpha phase, so much of the game mechanics (including fighting) as well as the graphics are still a bit underdeveloped. But with four months until release, hopefully the final product will be improved even further. 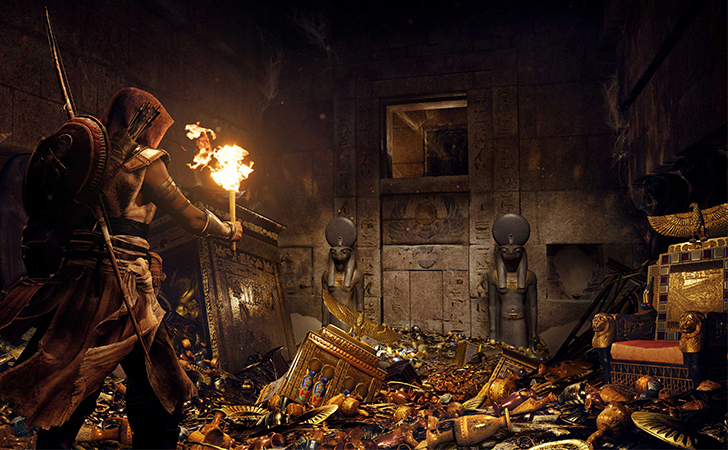 The trailer also features actual gameplay, which depicts Bayek sneaking into a temple and utilizing his assassin skills. The game promises a host of other features and abilities that you can take part in throughout the game, such as improved hunting and extensive explorability (including ancient pyramids), as well as some brand new features like gladiator fighting. There’s so much to look forward to in this reveal trailer. While skepticism still reigns supreme among fans, it seems very likely that Ubisoft is making up for their “quantity over quality” mindset of the last several years and is putting a large amount of thought into expounding on the lore of the assassin brotherhood and delivering quite possibly their best achievement yet. This October 27th will tell us for sure if this is indeed the Assassin’s Creed experience we’ve been waiting for. Check out the trailer below, and make sure to SHARE this story if you’re absolutely thrilled with how this game is shaping up! Not so optimistic about it? COMMENT and let us know what you think!